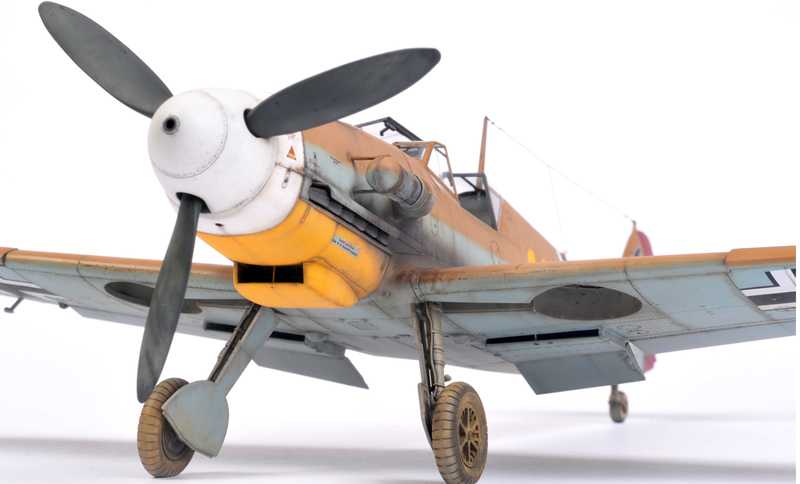 Hasegawa 1/32 Me Bf 109 F-4 / Trop as flown by Hans-Joachim Marseilles during February 1942. 50 kill marks on rudder. Stunning work Chris, always enjoy your 109’s. Hooo! effects are real impressive, the 109 is your preference for what I see, I thought if these planes in the desert operavan had some wear on the wings? by the sun and dry climate? You are right again Ben, but the photos of this plane show that the paint on the upper wings and fuselage was in pretty good condition. For some reason the upper wing crosses were badly worn. Not really sure why this was. 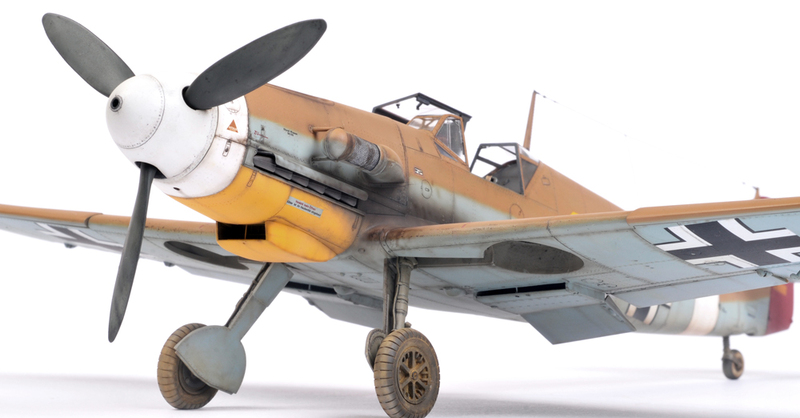 Chris, forgive my curiosity, I have some pictures I take ME-109 around Hasegawa 1/32 are from a friend who is a fan of the Luftwaffe, as I can send the photos? Ben, can you put them on Facebook and send me a link, I would really like to see them. Indeed, the photos are already on your facebook space. Chris, you may have an email address, to attach more photos. One of my favorites of yours. I think it gets the ‘look’ just right. Brett’s photography is just right too.